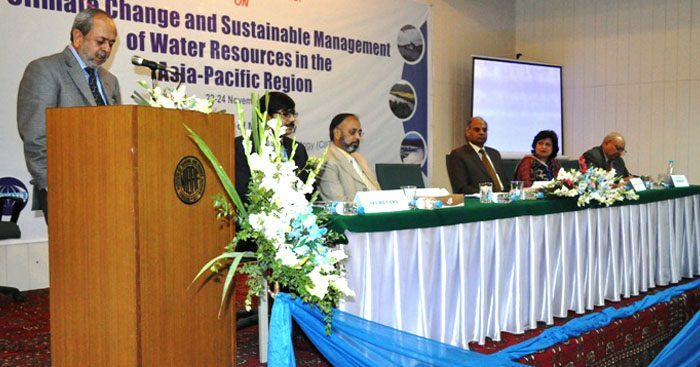 A three-day International Workshop on “Climate Change and Sustainable Management of Water Resources in the Asia-Pacific Region” was held on November 22-24, 2011, at the National Institute of Banking and Finance (NIBAF), Islamabad. The event was jointly organized by the Commission on Science and Technology for Sustainable Development in the South (COMSATS) and one of its Centres of Excellence in Pakistan, the COMSATS Institute of Information Technology (CIIT). The event had the patronage of the United Nations Educational, Scientific and Cultural Organization (UNESCO), the Higher Education Commission (HEC) of Pakistan, and the German Academic Exchange Service (DAAD). 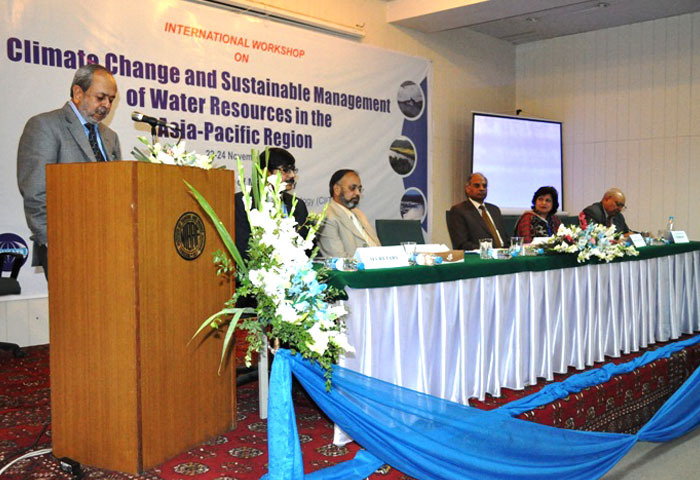 The workshop provided a forum to the researchers, scie ntists, government officials and students, from various developing and developed countries, especially from the Asia-Pacific region, to discuss the issues and challenges posed by climate change in planning and management of water resources. The four technical sessions of the workshop related to: Science of Climate Change; Water Resource Management; Earth Observations Technologies; and Climate Change and Water Resources Modeling. The Inaugural Ceremony of the event was held on November 22, 2011. Dr. S. M. Junaid Zaidi, Rector CIIT, graced the occasion as the Chief Guest of the event and delivered the Inaugural Address. 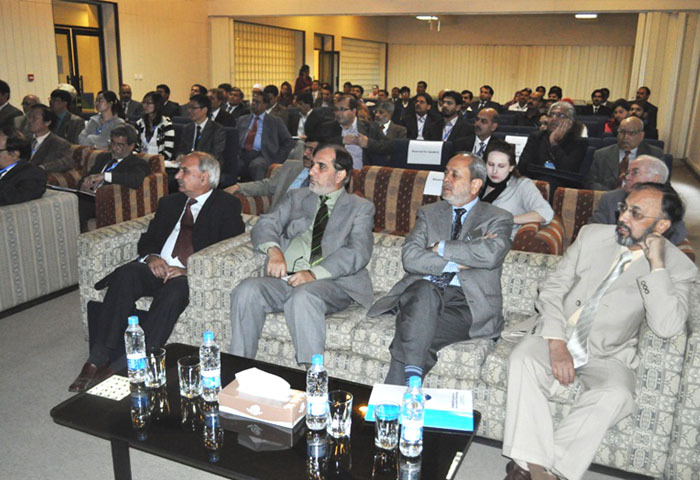 The distinguished guests at the Inaugural Ceremony included Dr. Qamar-uz-Zaman Chaudhry, Vice President of World Meteorological Organization; Dr. Shahina Tariq, Chairperson, Department of Meteorology, CIIT; Mr. Tajammul Hussain, Advisor (Programmes) COMSATS; and Dr. Amir H. Malik, HEC Foreign Professor at CIIT. Highlights of the ceremony included a message from the Executive Director COMSATS, Dr. Imtinan Elahi Qureshi, a special lecture on the theme of the workshop by Dr. Qamar-uz-Zaman Chaudhry, Introductory Remarks by Dr. Amir H. Malik and a Vote of Thanks by Dr. Shahina Tariq. Considering information sharing vital for capacity-buildin g, the Chief Guest welcomed the participants and hoped that the objectives of the workshop would be adequately achieved. In his message, the Executive Director COMSATS considered the countries of the South being at a greater risk due to their heavy reliance on climate-sensitive sectors, such as agriculture, livestock and fisheries. He stressed that the developing countries must remain conscious of such risks while formulating relevant policies and development projects. In his lecture, Dr. Qamar-uz-Zaman discussed the formulation of Pakistan’s ‘National Climate Change Policy’ and ‘National Climate Change Strategy and Action Plan’. In this context, he highlighted the key areas and sectors, and relevant policy measures. The event covered a wide range of topics relating to climate change and water resource management that included: the generalized PV-view and their applications in the severe weather events; latitudinal precipitation characteristics; influence of global climate change on medicinal, aromatic and coastal plants; damage assessment and policy implementation; role of remote sensing and GIS; climate crisis and e-adaptation; C3 plant expansion by increasing CO2 concentration; impact of land-use change on precipitation pattern by using regional climate model Version-3 (RegCM3); relationship between climate change and socio-natural activities, etc. Presentations on these and other topics were made in the context of various countries of the region, including Nepal, India, Pakistan, Bangladesh, Turkey, China, Sri Lanka, and Malaysia. It was noted by the experts that the present concentration of CO2 in the atmosphere is the highest in the history of the globe and has most likely been caused due to the industrial revolution and uncontrolled use of fossil fuels, land degradation and deforestation, principally, in the tropical rainforest regions. Emission of CO2 into the atmosphere to such an extent plays a significant deleterious role in the environment. The experts also noted that the dramatic shifts in weather can cause mass destruction and leave vast populations of the Asia-Pacific region amenable to large scale resettlement to higher ground. As opposed to the usual practice of water resource managers focusing only on surface water storage through large dams and barrages, an effective future strategy for water resource management was proposed that requires utilization of water from all sources/means including wet lands, link canals for inter transfer of water, rain harvesting (both rural and urban), village ponding and roof top storage, etc. The event comprised of six invited lectures and twenty six presentations. About sixty local and foreign participants benefited from the training on these topics from 32 subject-experts belonging to 8 countries, China, Pakistan, Malaysia, Sri Lanka, Iran, Sudan, Germany and Bangladesh.